Are you making these 3 common mistakes on Pinterest? Pinterest marketing isn’t rocket science, but it can be tricky to get started. Don’t make these mistakes—make sure that you are optimizing your images, using keywords correctly and staying consistent to get the most results using Pinterest! Pinterest, as a platform, can be tricky. At first sight, it seems like dropping a pin into the platform gives you instant virality! But in reality, there are important steps (and mistakes to avoid) to getting virality and success on Pinterest to drive traffic to your site. I’ll be sharing the 3 most common mistakes made on Pinterest. This one is a doozy! You can create great images and use the right keywords on Pinterest, but without a strategy or consistency, your results are going to fall flat. The good news is that Pinterest doesn’t require that much babysitting. Can you take the time to pin 5-10x a day? Then you have what it takes to be consistent. I personally find, with life’s busy seasons, pinning daily to be a chore. 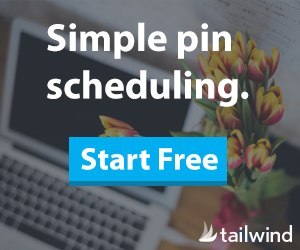 I use Tailwind, a Pinterest and Instagram scheduler, to keep an active queue of content pinning at optimal times (yep, that matters too!). I share a lot of about Tailwind (and you can grab my affiliate link here to get $15 off!). Here are some of my top posts about consistency using Tailwind. Avoiding these 3 common mistakes on Pinterest can lead to more success, and ultimately, more traffic to your website! « Visual Search: What Is the Pinterest Lens?